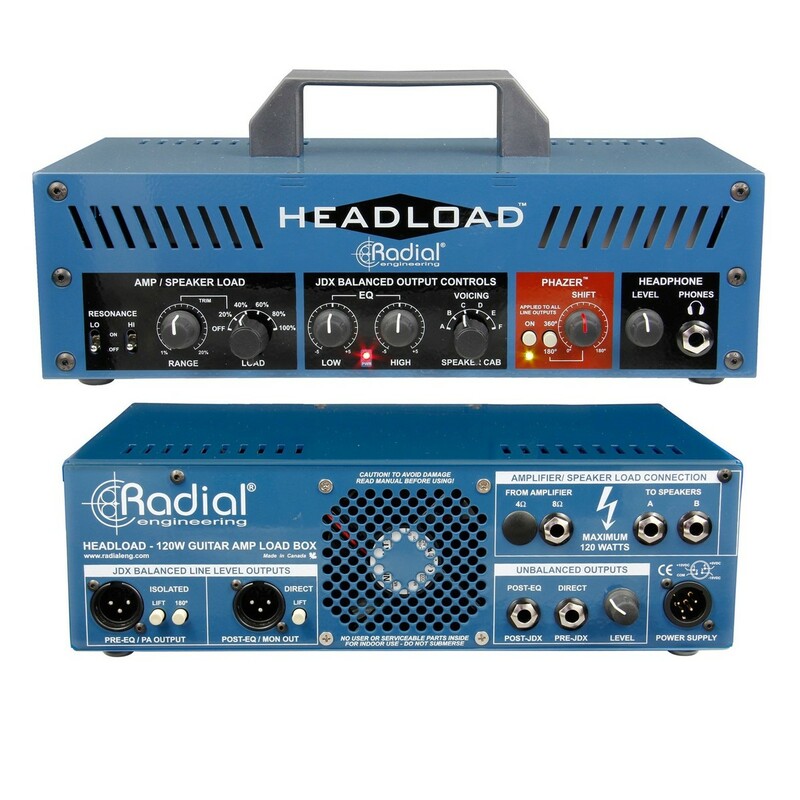 The Radial Tonebone Headload V8 Guitar Amp Load Box is the ultimate combination of a guitar cabinet speaker attenuator and simulator. 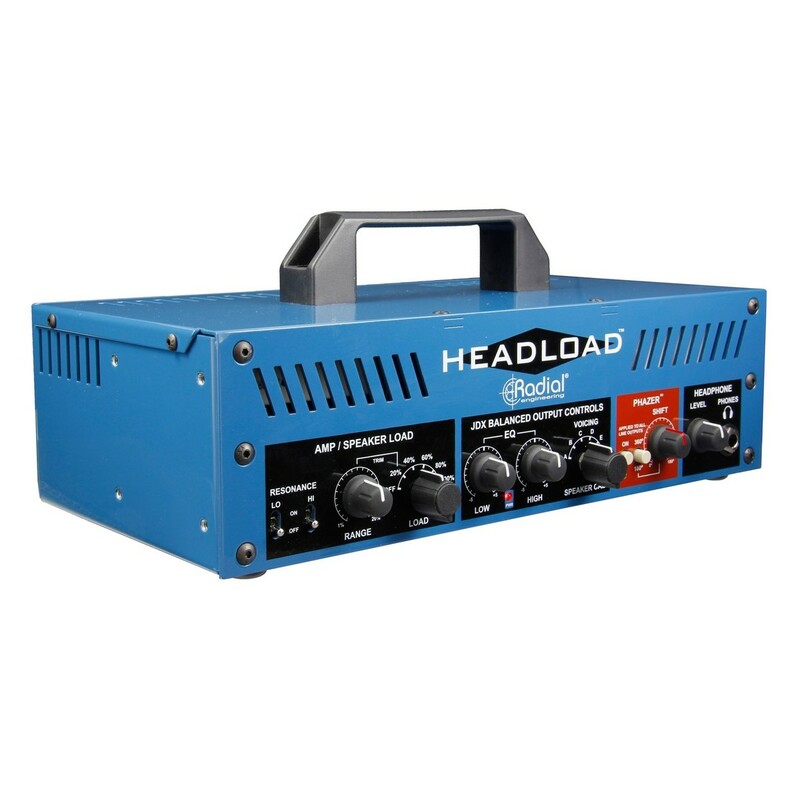 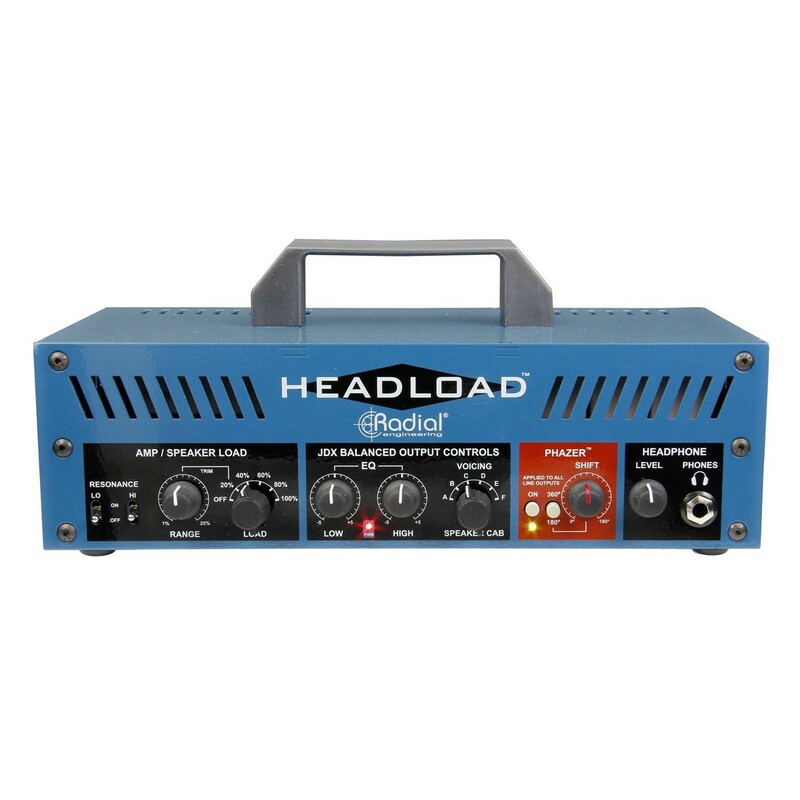 Capable of safely handling up to 130W of RMS power (180W peak), the Headload V8 is an 8 Ohm load box with a built-in Radial JDX Reactor and Radial Phazer for high-performance direct recording. 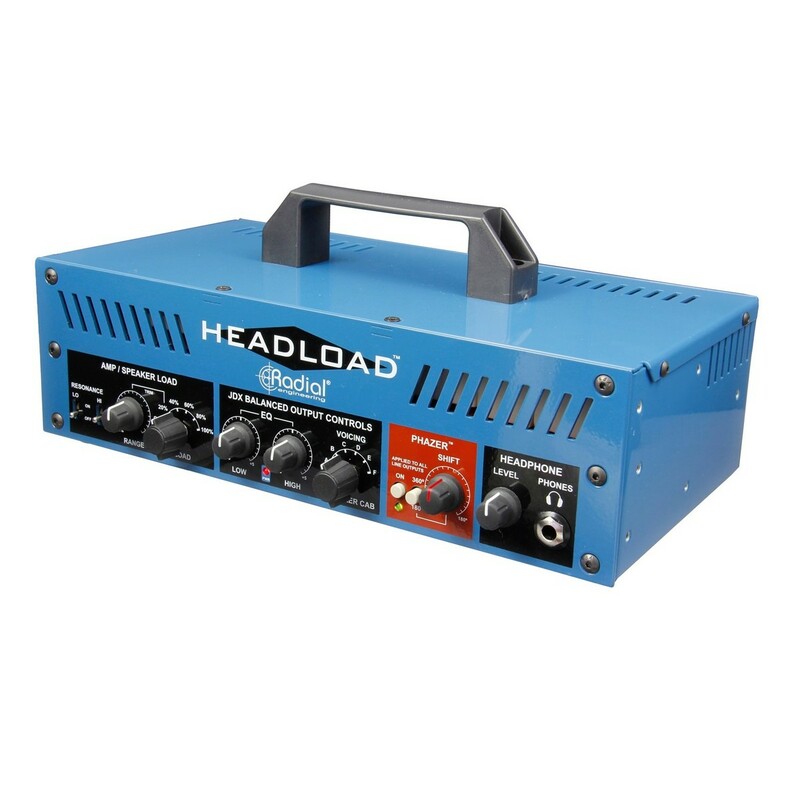 The Headload allows you to achieve exceptional tone and sonic performance from your amplifier at low volumes, making it perfect for both studio and live scenarios. 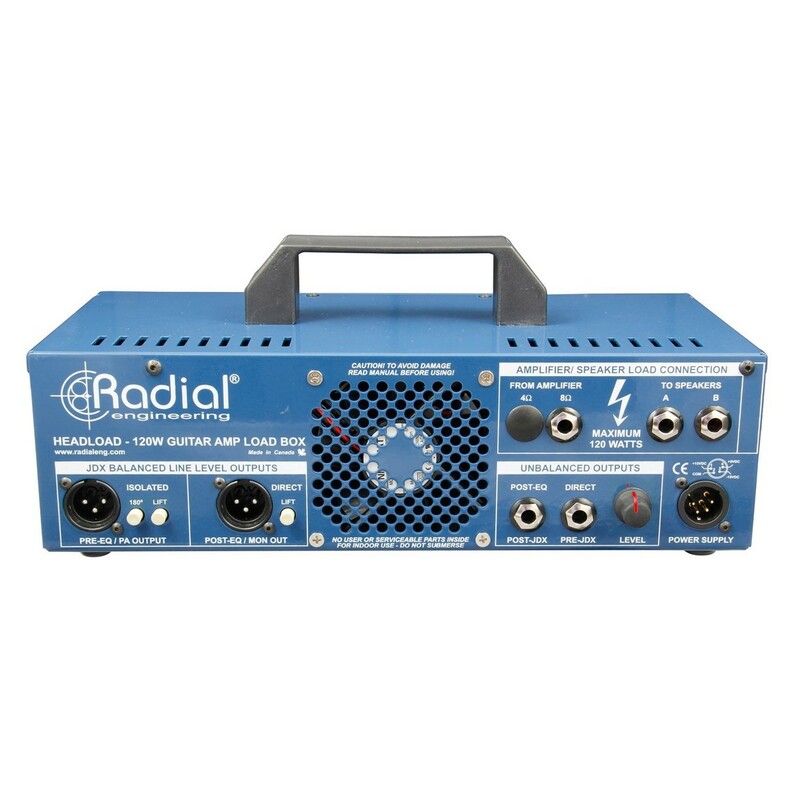 The 100 percent discrete design is fan-cooled with additional front vents, and boasts adjustable load from 100 percent down to 0 percent, with additional power control from 0 to 20 percent with the RANGE control. 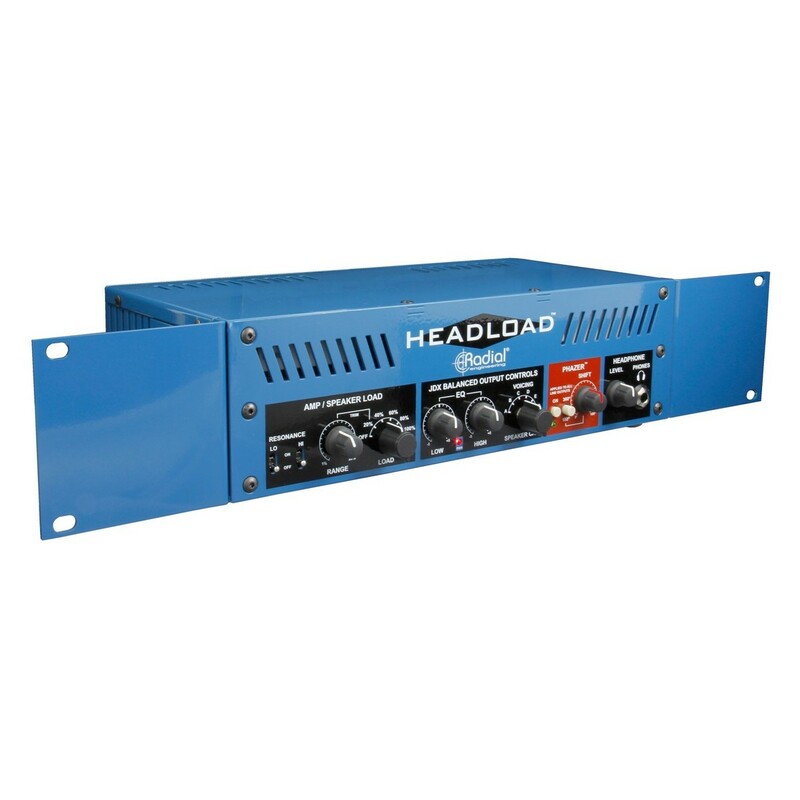 An active High/Low shelving EQ and cabinet emulation section ensures you find the perfect sound, whilst the 14-gauge steel chassis and outer shell provide incredible protection and reliability.